Everyone wants more traffic and leads to his site and do a lot of things for that, one of them is SEO. As the changing strategies of ranking by the search engines like new features, new platforms, Logarithm Updates, industry find, and change in user behavior etc, it is much difficult to plan the SEO for the year to come. As we are entering into 2019, therefore I am writing this guide which will cover around 15 basics SEO tips that will definitely help you to generate traffic and users in the coming years. Once these strategies implemented successfully then the B2B companies will link building, lead quality, supports to build valuable relationships by communication and have a chance to understand their target clients in a better way. These 15 Powerful (And Actionable) SEO Tips for B2B Companies will help you to improve your SEO strategies for 2018-19. Enjoy reading this amazing SEO Guide build on personal experience and increase your blog traffic up to 90%. Always think about the buyers. It is important to consider the requirements of the buyer in all process from proper keywords research to content writing. Thinking about the Buyers means your SEO team needs to develop such a content network that directly point out the needs of users. Creating the content that includes the properly researched data and its analysis according to the buyers need are the ultimate tool of this part of SEO. Once buyers requirement discovered than create the high-quality content that follows that discovery to engage more traffic to your blog with the help of a single high-quality article. According to a survey, 69 % of B2B buyers say that the prime factor to influence them is the high-quality content of a site that contains what they want. Therefore always write Buyers personalized content to get more people to the site. There is a theory that follows that link the traffic to the landing pages. More landing pages you have there are more chances to get high traffic rates. But if even that so, you should not compromise on the quality of the landing page. If you only focus on creating more landing pages than improving their quality, then there are more chances that your traffic will decreases. Now the question arises is that how one will know that the page he created is of high quality? There is a simple solution to find this, look how many people linked to your page or in other words how many people shared it on social media. The more reliable and quality page you create the more shares you will get that will ultimately increase your traffic. Always focus to target the user intended and relevant keywords or topic to write content on. As Google is becoming smarter by the passage of time so it is now necessary only to target the keywords that are user’s inquiry related. Making a topical approach to keyword research means that no one has to spend more time to learn about its targeted audience. You have to keep a deep eye to the current search result to better understanding the Google’s result showing strategies and step forward for creating the contents. After the proper keywords research (which is no doubt is a time-consuming and challenging job) the next step is to write the contents. Contents should be according to the marketing tactics and are according to the user’s intent. While writing the contents for your site please consider some important things like the types of contents that will give the best performance in search results, it should be according to the user experience and about the product that is being offered. Go for the competitive sites that are covering the product that you are going to offer and are ranking in the search results. Look for the laps their content have and cover them in your contents and you will ready to go up in the search results. You can also use multiple SEO tools available online. Go for SEOmegnifier that offers a large range of SEO tools including many contents rewriting tools that will give you high-quality contents and save your time and money. Always aware of changes that Google makes to make the user experience more effective. SEO marketers keep the content updated 24 hours but it’s on Google how it will show your content to users. Sometimes thing does not go according to plan and contents shown in such a way that will destroy all your keyword and content management. Google always try to show the things which it thinks more important for a user than other content. So be aware of changes and arrange your content according to that change and you are good to go. It will affect your whole content SEO and makes it more reliable for Google to show it in upper searches. Use of natural language is of much importance for page optimization and page tagging. Adopt a natural language in your contents and make them more effective and understandable for the audience. Always remember that mobile-friendliness of a site is of more importance than its responsive design. Most people search their products by using their mobiles, therefore, they are of much importance for Google. So when you design your site always keep in mind that a person looking for the product you are offering may be using mobile to find it on the internet. Make your site design responsive for desktop as well as for mobile. Do research and make strategies that will help to cover all the audience including desktop and mobile users. Always focus on the content structure, size, style, site navigation, content load time, and conversion optimization of the site to make it much mobile friendly. Question answer approach is effective in search engine optimization. It always attracted the persons who are searching for answers to their questions and are willing to find them in the search result. A question-based approach is one of the best approaches to turn the dream of ranking on top in the search result in reality. Keyword Planner is the tool that most people use to find the keyword but when it comes to finding the questions related keyword then this tool is of no use. You need to go through the comment section of your competitor site and write on the question that people are asking there. Why SEO is necessary for ranking? Best SEO Strategies. Why SEO is Necessary? You can multiple tools available online to find questions related or long tail keywords according to the product you are selling. The term content should be easy to find means they should be easily reachable for the users. A visitor should not need to dig the whole site for finding the information which he is looking for. This all can be done through a user-friendly website where navigation is crucial. Make a search bar using tools that will allow the user to search his required information. This increases the authenticity of the site and makes it more users friendly. Use different SEO Tools to save your time and money. There are many tools available online that can be used for search engine optimization but the Tools available at SEO magnifier have some authenticity and uniqueness that other tools don’t have. SEO Magnifier is the best online SEO tools market that contains tools of premium quality. There are numerous tools available that can be used to do a proper site SEO and to increase the organic traffic on your site. Some of them are Grammar checker, Article Writer, Paraphrasing tool, XML sitemap creator and many more. An SEO magnifier free paraphrasing tool is amongst the world’s best premium paraphrasing tools that are used in search engine optimization. This tool will let you paraphrase the sentences, essays, research papers, assignment, and other sites contents without taking much time for free. It is a quality tool that provides the best work at super fast speed without losing any money. It is only of his kind of tool that provides plagiarism free contents that are of high quality and SEO friendly. The search engine doesn’t find the contents as duplicated that are created using this tool. One can create his whole new contents just by following some simple steps. The first step is to paste the text that you want to paraphrase and then click on the paraphrase button. Now in the next step, you have to select the words that are given in the suggestion box. 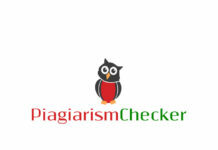 Select and apply the suggestions and go for the plagiarism checking. Here this tool let you know that do you created the unique contents or not. Once you got your desired text copy it from the box and use it in your B2B site or at any other place where you want it. Here are some other SEO tools that help you a lot if you are handling your site on your own. You can use article rewriter to rewrite the documents of your choice. Bulk Backlink maker tool is also available to make premium quality backlinks for your site. Meta tag generator, Meta Tag Analyzer, CSS Minifier, Robot. Txt generator is such tools that will save your lot of time that you can spend on any other project. It is one of the most crucial parts of Search engine Optimization. Google always prefers sites that are protected or secure from hackers. As search engine concern about its customer’s personal data, therefore, it makes sure only to provide access to those sites which are secure. Securing a site increase organic traffic and is best for the long-term SEO project. Social Media is one of the widely used media where billions of people have access to their required information. Social media has a vital role in search engine optimization. Share your sites or products to the groups on social media related to your product and increase your selling. It provides an indirect benefit to SEO and lack of may result in failure of your business. Flexibility is one of the important but overlooked skills required in SEO with the addition of other skills. In this world things are changing in no time, therefore, an SEO strategy should be so flexible to attain these changes and work in every condition. Nowadays video is used as the most powerful marketing tool and it gives some amazing results. People now days prefer to watch a video instead of reading. Do add video in content and increase your traffic. Site speed plays a crucial role in ranking in search engine. Keep your site speed optimized as it is one major part of search engine optimization. 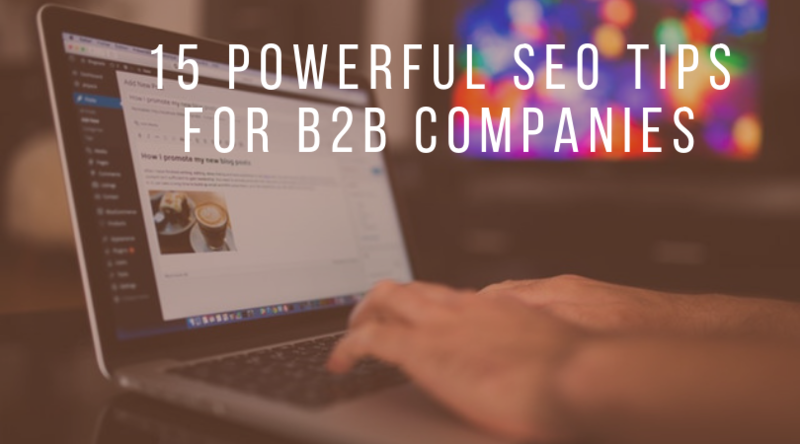 Here is the 15 Powerful (And Actionable) SEO Tips for B2B companies. These are the well researched and applied steps that will surely give you benefit and help you in increasing your organic traffic or product sales. Search engine optimization is not a static parameter, it keeps on changes and the successful businessman is he who has the flexibility to change according to the circumstances. If you want to run a successful B2B company keeps an eye on changes that have been made in the online world and apply them to your site to increase the business. The steps discussed above are the ultimate techniques that will help in every situation no matter how many changes can Google bring out. Please let us know about your feedback, suggestion, and questions by commenting down the post. Thanks!